Our professional design and installation team at GTS Developments Ltd has been working in the industry for over fifty years, and we are ready to design or transform your kitchen into a beautiful space you won’t want to leave. A well-designed and well-made kitchen will ease food preparation, cleaning, and improve family life in this essential part of every household. 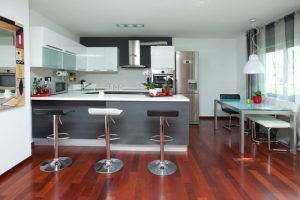 There are two major stages in created or revamping a kitchen. First, the design process ensures our team and our clients work together to put the best plan into action, so you get exactly what you’re looking for. The building phase is where our team gets to work and constructs the kitchen to your specifications with quality materials and perfecting finishes to give you the kitchen of your dreams. The design phase can be broken into several sub-phases that are completed. The consultation is an essential first step, so we can get to know our clients, their needs and their resources. In turn, our clients can understand exactly what we are able to offer them to turn their kitchens around, the estimated costs, and how they will benefit. This consultation can take place in the home or in our company showroom. 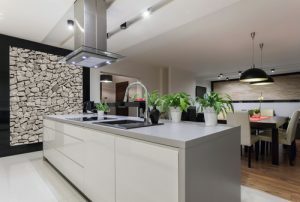 Often clients choose both options and our team can get an exact idea of how the kitchen space will function most effectively by visiting the property. Once the basic ideas are agreed upon, we begin the measurement process and to sketch out various ideas for the client. Once designs are chosen, the plan is finalized and work can begin. The construction phase includes the purchasing of materials, obtaining permits if needed, and of course, physical construction. At all times, our client will work directly with the construction manager to ensure the project goes according to plan at every step of the way.